The Conegliano Valdobbiadene Prosecco Superiore D.O.C.G. announces that Charles Communications Associates (CCA) is now their agency of record for the United States. The Consortium is a private body created to represent vine-growers, wine making companies and bottlers from Conegliano Valdobbiadene and to safeguard the standards of the D.O.C.G. criteria in crafting wines of the highest quality and distinct provenance. 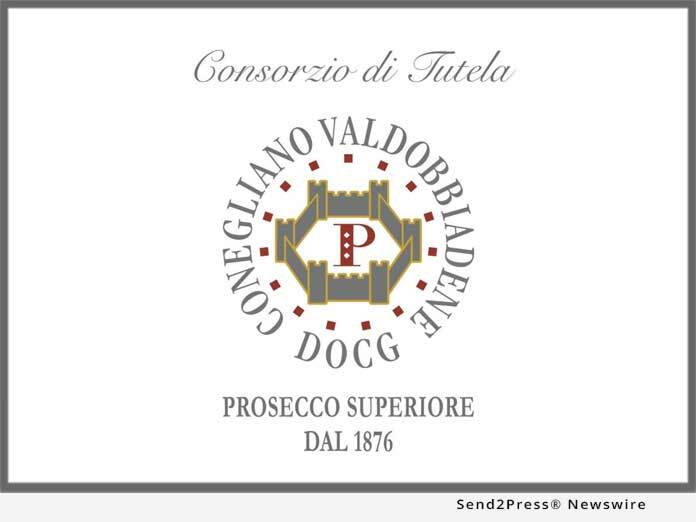 The Conegliano Valdobbiadene Prosecco Superiore D.O.C.G. announces that Charles Communications Associates (CCA) is now their agency of record for the United States. The Consortium is a private body created to represent vine-growers, winemaking companies and bottlers from Conegliano Valdobbiadene and to safeguard the standards of the D.O.C.G. criteria in crafting wines of the highest quality and distinct provenance. Their work is focused on three major areas: protection, promotion and sustainability. They improve sparkling production methods, provide assistance and training and supervise all stages of winemaking to guarantee the quality of this outstanding, Italian viticultural region. Prosecco Superiore exports to over 130 countries of which the United States ranks 5th with over 2.76 million bottles (out of a total 35.8 million bottles) with a value of $17.12 million. Created in 1969, Conegliano Valdobbiadene Prosecco Superiore was one of the first Italian appellations, obtaining the D.O.C.G. status in 2009. These sparkling wines come from the historic area of Prosecco production, a unique, hillside terroir that is now in line to be recognized as a Unesco World Heritage Site. Conegliano Valdobbiadene is situated in the northeast of Italy, between Venice and the Dolomites (at the foothills of the Alps), offering a mild, temperate climate ideal for grape growing, producing serious food wines with pairing versatility, showcasing a range of different styles, aroma and flavor characteristics. The trade campaign will include working with two well-respected sommelier ambassadors in New York City and San Francisco, an in-depth restaurant educational program and participation in targeted trade events. The press campaign has a series of events, a sampling program, social media engagement and ongoing press outreach. The advertising campaign is focused on online partnerships with key wine and food influencers. Connect with the Consortium on Facebook, Twitter and Instagram, or visit http://www.prosecco.it/en/ to learn more about the region and its sparkling wines. Founded in 2003, Charles Communications Associates, LLC (CCA) is an independent creative marketing communications and public relations firm based in San Francisco, California, that helps local and global companies create, build, and launch brands. Recognized as one of the most effective marketing firms in the wine industry, CCA is also known for success in the gourmet, natural, and organic food and beverage categories, as well as for top shelf spirits and luxury products marketing.